Personal items in a workspace can often be a conversation starter. “Tina’s” office is a riot of orange, with posters of SU’s sports teams adorning the walls, miniature Ottos waving from the bookshelves and a big orange number 1 tacked to her bulletin board. Next door, “Dave” has just a few photos of himself, his wife and their dogs to dress up the plainer décor. Their offices may look very different, but they are both demonstrating what Associate Professor of Management Kris Byron contends—the widespread tendency to personalize one’s workspace is highly meaningful. Byron’s research will be published in the Academy of Management Journal, a premier journal in the field of management. Byron says she initially thought people might be reluctant to talk about the ways they chose to personalize their offices, but found the opposite to be true. Personalization is related to two things, Byron found. The first is relationships. Some items, such as artwork that others can see, represent the person to others. It helps relationships because it functions as a conversation starter. This is also true of other publicly visible things, such as Tina’s shrine to SU sports. Other items are less noticeable, such as smaller photos. You might only notice them if you are in the office a lot. When a visitor comments on those items, it serves to deepen the relationship. Sometimes the items displayed say something about the person’s work role. For example, a professor might show his or her role visually by filling the office with a lot of books. A creative person might have lots of sketches or paint swatches pinned to the walls. 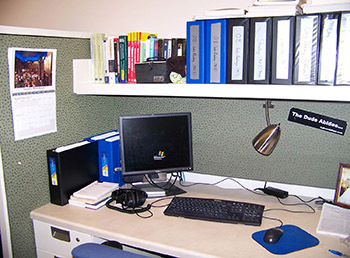 Sometimes the way an office is personalized might give you a hint about the person’s role in the organization (i.e., the bookkeeper might have a very organized-looking office). 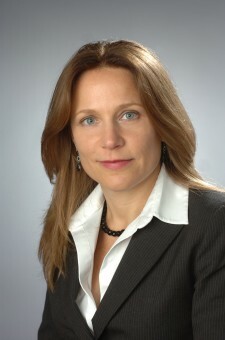 This personalization helps workplace relationships because gaining a common understanding of each employee’s unique role in the organization helps employees to work together more effectively. 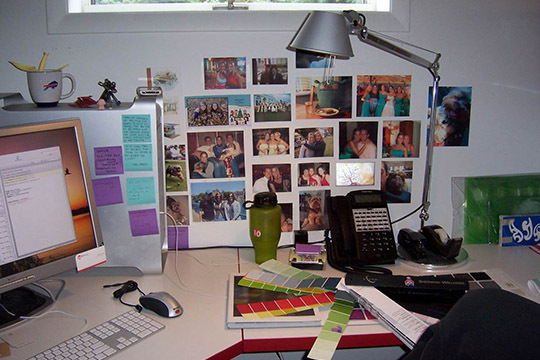 How a person chooses to personalize their workspace can harm relationships too, Byron comments. An example might be a person who works exclusively with Democrats, yet decorates her office with Republican banners. Sometimes the way a workspace is personalized, such as by being very organized, can be a clue to the occupant’s role in the organization. The second process that is related to personalization is self-regulation, or how you manage yourself. This has more to do with items you might display in your workspace just for yourself to see. They might be reminders of a goal you are trying to reach, such as a Weight Watchers pin to remind you of a weight loss goal or a photo of your child to remind you of why you are working. In the meantime, she hopes others know about a fun pastime. “You can go into someone’s office and pretty accurately guess what the person who has that office is like,” she says.